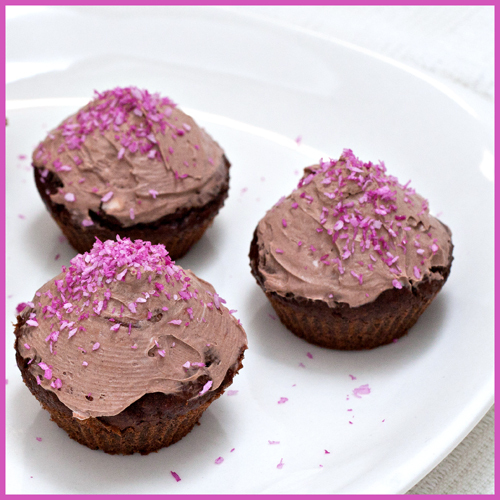 Coconut chocolate cream topping – dairy free! 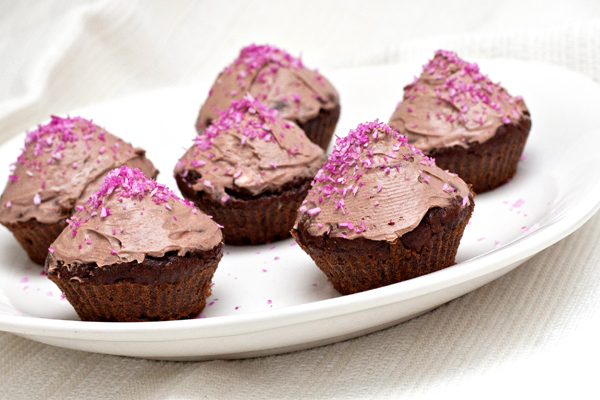 A lot of people (including myself) should be avoiding milk products, so I’m always looking for ways of making TASTY and creamy toppings for cakes and cupcakes that are lactose free. This is not only really tasty (and creamy!) – It is incredible easy as well. I made the mix last night and only quickly topped off the muffins (I made Luxurious chocolate muffins) this morning. What? Do you not eat cupcakes for breakfast? This recipe is inspired by the brilliant Vanessa, who writes at healthy living how to – a blog about healthy life. 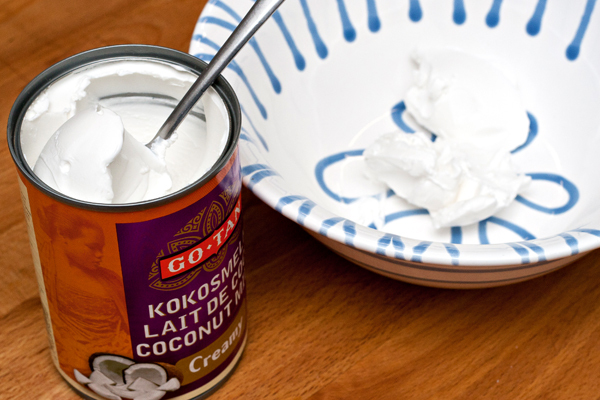 If you store your cans of coconut milk in the fridge, they will separate the cream and the fluid. Normally you might shake the can before opening to mix those two again – but this time, don’t! Just open the can and scoop out the thick white cream. Its texture is like cream cheese. 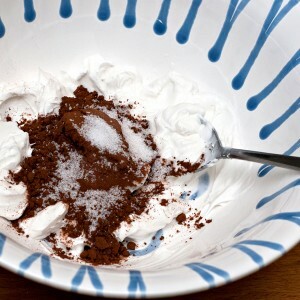 This is based on about 100-125 ml (1/2 cup) coconut milk cream – so it’s NOT all the cream of one whole can. I have started using a erythritol-stevia sweetener recently. Basically it is incredibly sweet but does not affect your blood sugar, so it is a great alternative if you are conscious of your sugar intake. You can read more about erythritol and stevia by clicking on the links. I’ve been experimenting with this lately (again inspired by Vanessa’s blog) and will probably use this more in future recipes. 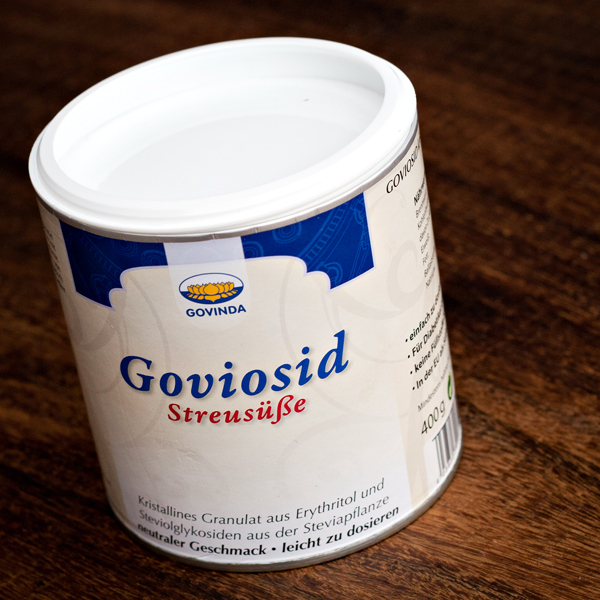 If you’re in Luxembourg – Naturata has a product called Goviosid (98% erythritol – 2% stevia) – which is what I use. In Scandinavia there is a brand called Steviosa (from Soma Nordic), they have a “Steviosa socker” which is basically the same as the Goviosid I use. Just a tip! If you (like I used to) feel this is not for you and rather stick to honey or maple syrup – then feel free to use that instead! 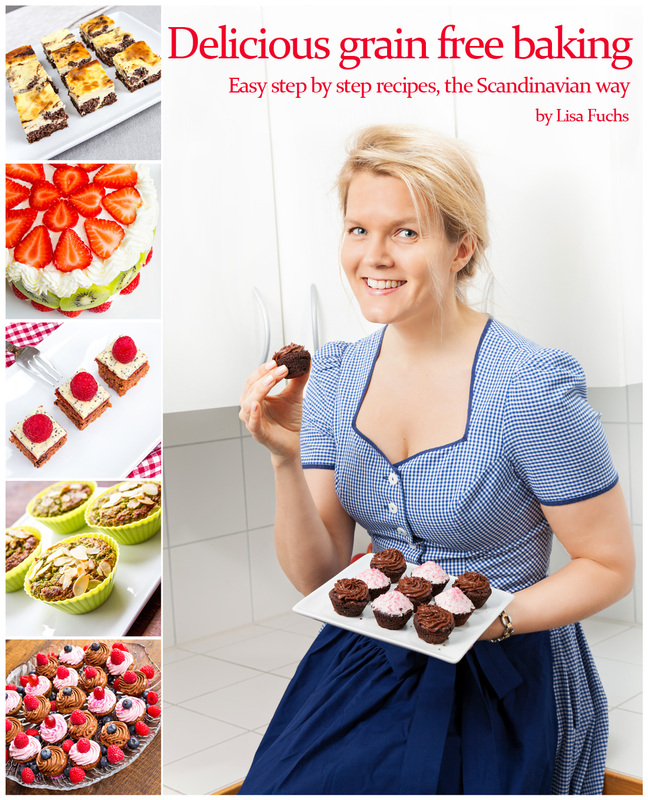 Phew – back to the recipe!! OK – once you have those three or four ingredients in a bowl – just mix them. 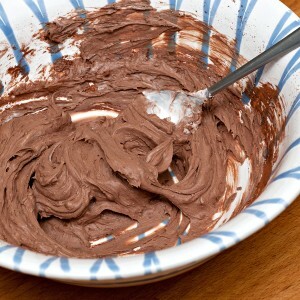 Then spread on your muffins or cake.